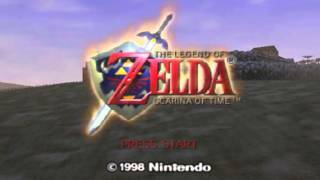 Play The Legend of Zelda - Ocarina of Time online with Nintendo 64 browser emulation for free! 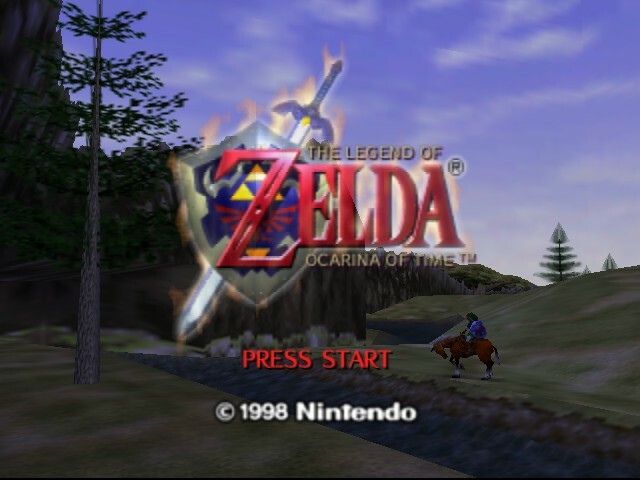 The Legend of Zelda - Ocarina of Time (N64) game rom is loaded with features in our flash, java and rgr plugin emulators. Nothing to configure, we've done it for you! pray75 here with a review of one of the most critically-acclaimed games of all time, The Legend of Zelda: Ocarina of Time. I was but a wee lad when the game came out in 1998, and at the time, I was not allowed to play it because it was my mother's belated birthday present. Despite that, this wide-eyed eight year-old loved every single second of what I had seen, and when mom stopped playing after the Dodongo's Cavern (she really doesn't have the patience for many games, to be honest), I finally got a crack at the game that I so loved to watch my mother play. I remember my first play through pretty well, particularly because I was such a wide-eyed kid when it came to the game. When I got to Queen Gohma's Lair, right before facing the menacing beast herself, I cut the game off because I was too scared to continue that night. I even had nightmares about the giant spider, worried that she would eat both me and Link, but the next day, I sucked it up and braved the storm, defeating her in an epic battle of wits, will, and a little luck. I would also be absolutely terrified of redeads, the zombie-like creatures who would scream at you and freeze you in your tracks. When I first ventured into the Tomb of the Royal Family, I was absolutely terrified. I walked so slowly to avoid the creatures and cried when one caught me and jumped on my back. To my great joy, I found the Sun's Song, so I never had to worry about them again (at least, until recent years, when I troll them by walking in circles behind their backs). Looking back, it was extremely silly, but in those days, when the graphics were top-notch and my imagination collided with reality, you can imagine how I was feeling. I love this game so much, I have played it at least 15 times, running a three-heart challenge campaign and a non-stop play campaign. I've even beaten the Master Quest edition of the game, though I haven't been able to play the 3DS version of the game since I don't own a 3DS. If you ask me, though, it's kind of cheap since the iron boots are easier to equip than in the original (more on that later). So my history has now been shown! But if you think it will just be a fan-boyish review of the game, you'll be sadly mistaken. I'm going to analyze this game from a variety of different angles, taking note of many things I love about the game and a few things that I wish were different. That disclaimer aside, I present to you my review for Legend of Zelda: Ocarina of Time. Obviously, the graphics are not anywhere near the standard of today. But in 1998, with the two best systems on the market being the Sony PlayStation and the Nintendo 64, this game really delivers, especially because it was on the graphically-weaker of the two systems. This game was at the pinnacle of the Nintendo 64’s graphical capabilities, the game that all other N64 games strived to look like. It even looked better than most of the PlayStation’s games at the time, with the exception of the FMVs of Final Fantasy VII. The world was expansive and wide; the characters were beautifully-constructed, and the effects of the enemies were just stunning – literally! 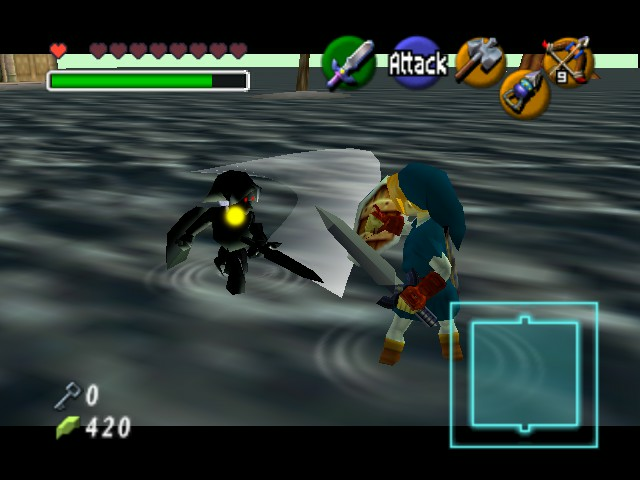 I think of being struck by Ganondorf’s lightning ball or accidentally striking a jellyfish for the first time, with Link’s body engulfed in an electrical current… it was just so cool. The graphics definitely earn a 10 from me. One of the beautiful things about this game was the music composition. Koji Kondo (I wouldn’t have known that without looking it up) did the score for this game, being especially qualified to do so considering his previous work with the Legend of Zelda series. I have so many things to say about the music that I might not have enough room to write it all! It just fit the game perfect, and it gets even more perfect, the more I think about it. 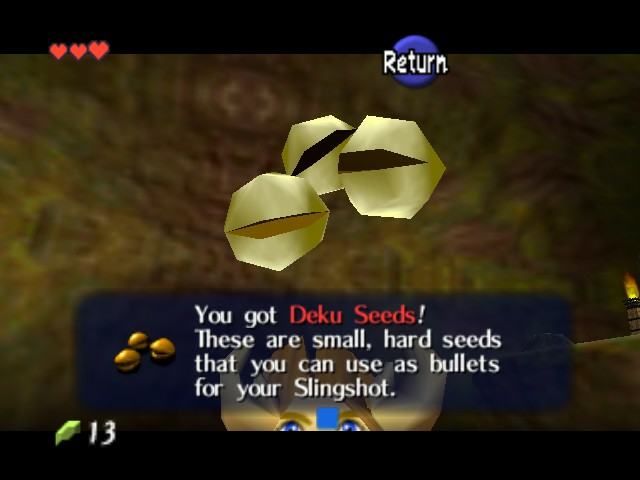 The ominous music playing when the Great Deku Tree speaks about the prophecy really makes it clear that you’re on a serious mission, but the little diddy playing when Navi approaches you gives the game a balance. Kokiri Forest’s happy track really made me feel comfortable, but the creepy music inside the Great Deku Tree spooked me out. And the battle music with Gohma really brought the intensity, inspiring me to work extra hard to take out the hated foe. Don’t forget the music in the shop or opening a treasure chest! All of this is just in the first hour or so of the game! Evidently I don’t have time to go too much further, nor do I want to bore you with my gloating, but I do want to point out a few favorites of mine. The music that plays in the Forest Temple is my favorite bar none, because it really hits home the creepiness of the level. When I hear that music, I envision Poe ghosts, Wallmasters, and Stalfos, not to mention a ceiling that dropped down on top of you. 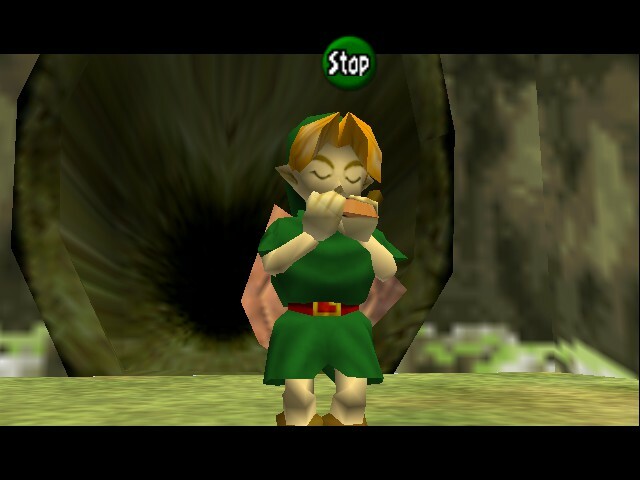 A couple more points about the sound: I love the way that music was integrated into the game via the Ocarina. Music was so important to these people that the only way you could progress in the game was to learn songs and utilize them to move forward. 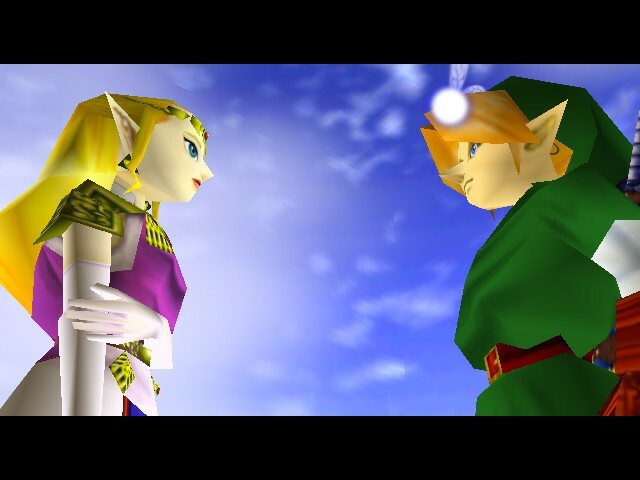 From the Song of Time to the Bolero of Fire, the music Link played was so versatile and excellent, and even those songs fit the situation well. I also love Link’s voice, both as a child and as an adult. It’s funny to try to emulate Adult Link falling off a cliff and hitting the ground, and it’s always going to be something I will remember. The only thing negative I can say about the game is the obnoxious sound of the female dancer’s voice and the ever-prominent “HEY, LISTEN!” that your fairy companion screeched out constantly. Other than those setbacks, the sound most definitely deserves a 10. I scored addictiveness with 8 because I can and have played this game over and over again. That being said, it is a very cautious 8 because I don’t particularly play the game as much as I used to. There are a few reasons behind this, mostly being that I have a lot of other games to play, but the most fundamental reason is because I have played it so many times, there really isn’t a lot of incentive for me to play it again unless I’m looking for the nostalgic feel that comes with the game. That being said, I know for a fact I will play it again, especially considering my history. The game never returns void when I play it, and though I have pretty much found everything there is to find, I always discover a new way of doing things or I rediscover something else that I love about the game. So the addictiveness score is an 8. When I think of something having a good story, I always ask the question: “Does this story inspire me to create?” With this game, there is no doubt that the answer is “YES!” There is so much I can say about the story that it isn’t funny. Especially when I was younger, this was the game of all games. From this game was my interest in the creative arts born, particularly fiction writing and screen plays. Many a dream did I have in which I assisted Link or actually was Link, taking on a different set of enemies or accomplishing a series of tasks. Young Link comes into the game as the lowliest of the lowly, with people in his own tribe judging him because he didn’t have a fairy. In game, this is explained in a rather surprising plot twist, but even the backstory of the game and Link’s heritage is interesting and well-constructed. 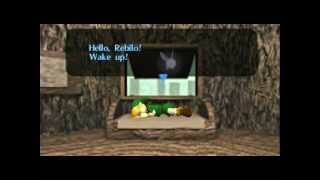 Link’s dreams, combined with the knowledge of the Great Deku Tree, send him on a journey to see the Princess Zelda and ultimately to collect the Spiritual Stones so that they can stop Ganondorf from attempting a coup against her father. What was crazy to me at the time (and in all honestly, still is) is the fact that their efforts failed. Ganondorf staged the coup and ran Zelda away from the castle. 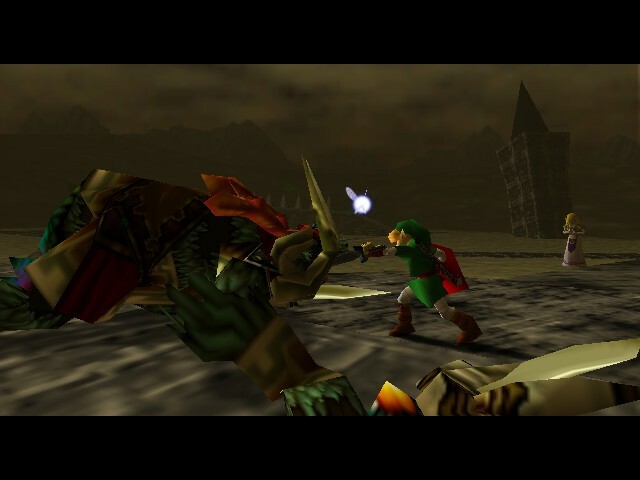 Link, with the combined force of the Spiritual Stones and the Ocarina of Time, opens the Door of Time and retrieves the Legendary Master Sword, although his body at the time could not handle it. Coming to as an adult was so surprising to me, and the state of the world after the fact doubled that surprise. The sprawling marketplace of Link’s youth was a zombie-infested wasteland, and even the color of the sky changed. Everything was so grim, very fitting with the reality of the world as opposed to the child-like happy tone the game had previous. Another cool thing about the story was the fact that you had to go back in time on several occasions to help Adult Link succeed. 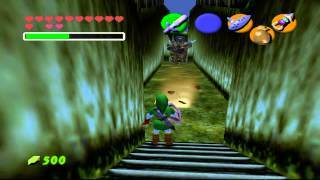 The Spirit Temple is my favorite example of that, where you essentially had to accomplish part of the mission in the temple and retrieve the Silver Gauntlets before Adult Link could leave the first room. These two things working together really had me going the entire time I was playing the game, and they are just a smidgeon of what made this excellent story excellent. An important part of the story that I think should be a separate category is the characters. In this game, the character cast was excellent. Link had quite a personality, despite not really talking, and you could really connect with him because he was such a good character. Princess Zelda was cool to me, especially after you learn she is Sheik, because she is not willing to just stand by and watch her kingdom fall without a fight. Princess Ruto’s marriage plan with Link really showed her character, and even minor characters such as the guard at the base of Death Mountain showed off who they really were. Take that, “Mr. Hero. Hah hah hah!” I don’t think a guard wearing a Keaton Mask is very professional, do you? Here is where I become a little more critical of this game I love. Now, there is a lot to do in this game. And I mean a lot. Arrow and slingshot minigames, races you can’t win, a big trading quest, and horse-riding, there’s a lot. But there were times I felt the game was too empty. You could really have done some work in Hyrule Field, having a variety of horseback activities or other kinds of events happening out there. I just didn’t think there was enough stuff, and what was there wasn’t as interesting to me. The mask task just didn’t fulfill that inner-most desire to accomplish something awesome, you know? Then there’s the weapon list. You have a boomerang, slingshot, ocarina, bottles, arrows, hookshot, bombs, bombchus (very cool), a giant hammer, and a few magic spells, just to name a few. Maybe it’s just me, but some of these things could have been used more. I wish the magic spells had more of a place in the game. Other than using Din’s Fire to enter the Shadow Temple, I can’t think of one thing that I HAD to use it for. And the Fire and Ice arrows were next to useless (especially the Ice Arrows, what was the point of getting those?). I’d have liked to see a few more recurring enemies that required you using your hammer or something. But you know, it’s not really fair to judge a game based on what it didn’t have, especially because it was such a pioneer in gaming excellence, and I can give the depth a bigger score because of what its predecessor, Majora’s Mask, did expound upon. So because of what the game does have and the fact that it was such a different game at the time, it gets an 8. This game was never that difficult to me, with the exception of a few spots. The Water Temple’s difficulty really lied in the patience you had with the menu-switching, not to mention a few minute details in which your lack of focus caused you to miss. Fighting Dark Link and making the climb to the dungeon boss, who was difficult in and of herself, really brought me great joy, especially after beating the level. Most people hate this temple, but I loved that it was so difficult. I also felt the Ice Arrows side quest was difficult, albeit not very important to the game. 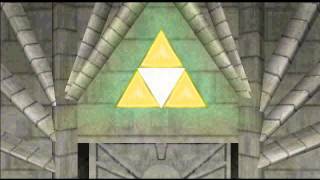 I remember how difficult it was for me to infiltrate Zelda’s Castle for the first time, too. 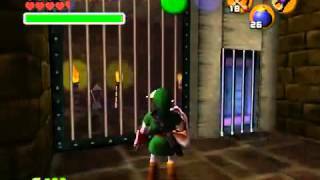 But my favorite part was sneaking around Gerudo’s Fortress, where getting caught meant getting tossed back into the cage. I was so bad at sneaking around prior to playing the Assassin’s Creed games, so I would get constantly thrown in jail over and over and over. And as frustrating as it was, it kept the game from being too easy to me. Other than these parts, the game really wasn’t that difficult. Even when I did the three-heart challenge, I didn’t find too many parts that caused me trouble, except maybe fighting Iron Knuckles (one strike took out a fairy and killed me again). The difficulty score gets a 6, particularly because it’s hard for me to judge the game’s difficulty now based on the fact that I am so much better at gaming. 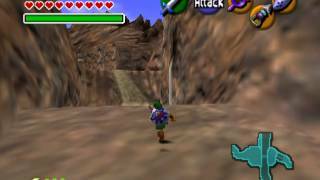 The Legend of Zelda: Ocarina of Time is a staple in my life, something that I will say actually defined my life in a lot of ways. The excellent craftsmanship and the time dedicated to creating this game really shows me what kind of effort it really takes into producing a product worthy of being called one of the greatest of all time. And while, at 22, I have yet to produce a work that I can even say is the best I have, this game and everything it has to offer, even by today’s standards, really motivates me to strive to be the very best I can be. One day, I want people to enjoy what I have to offer, be it books or video games story-lines or movies or political speeches. The standard this game set will be the standard that I strive to attain in all the work that I do. 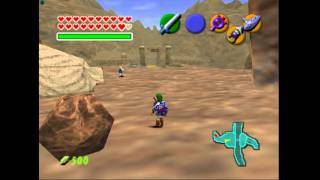 For the first time, The Legend of Zelda makes its way to the N64, in fine fashion. Our hero Link is once again called for to save the Kingdom of Hyrule, and this time he has a time travel device called the Ocarina to help him in his quest. Ganon is once again up to his old tricks, and Princess Zelda, as well as the Great Deku Tree ask for Links help. To guide him, a young fairy called Navi shows him the tricks of the trade. You begin the adventure with the task of collecting your sword and shield, and then saving the Deku Tree from the evil that has attacked. From there, you travel to Hyrule, and the many worlds that stem from Hyrule Field.There are many, many new things in this Zelda compared to past versions, including the use of time travel and the two different Links on each side (young Link, who you start the adventure with, and teen Link, who you must turn into to complete certain areas of the game). Weapons are also a key feature, with bombs, swords and other nifty gadgets available to help you in your quest. 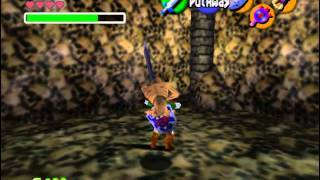 The Legend Of Zelda - Ocarina Of Time epicpokenerd! 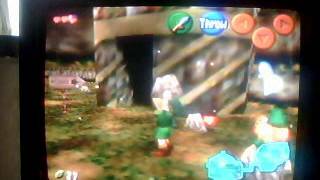 The Legend of Zelda Ocarina of Time - review Arctic Wolf (SS.. 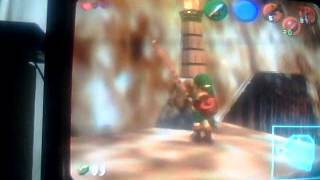 The Legend of Zelda OOT (Review) Vizzed Ghostblo.. The Legend that made Zelda so Legendary Steve The Mew H.. This won't work unless you've already sold the Keaton mask to the guard outside of Death Mountain. Once you've done so, before getting the Skull Mask you can ask to borrow the Keaton Mask again for free. Once you've done so, leave the shop, go back in and ask to trade masks. You can trade the Keaton mask for the Skull mask (he'll say you have to pay, but you won't) for free! 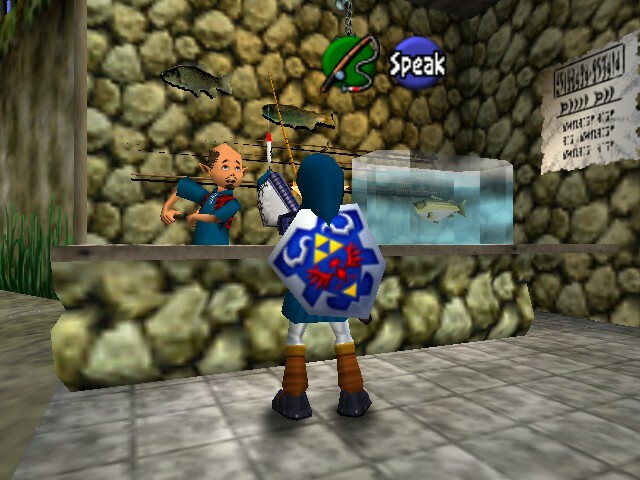 It even makes the sound of you giving him the rupees, but you'll still have all your money. The same works for the Spooky mask and the Rabbit hood, you just have to trade the mask that you sold before it. For this, you must have the Boomerang, the Stone of Agony, and the Song of Storms. 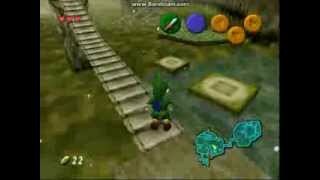 Go to Hyrule castle and after sneaking past some guards, there will be the moat. Climb to shore and in the corner will be a tree. Play the Song of Storms to make a hole appear and go into the hole. Bomb all the walls and you will find a Gold Skultula behind one of them. Kill it and then go back towards the platform you would use to go out. Z-Target the Token and throw the Boomerang at it. When the Boomerang picks up the Token, step onto the platform. It will be right in the middle of telling you how you just killed a Gold Skultula when you exit the area. If you go back, the Gold Skultula will be back, and the Token will have counted for your total. Repeat for infinite Gold Skultula Tokens. Ocarina of time 2D Fan Project! Is it Strange that I've never beaten a Zelda game? What's your favorite LOZ game? How do I record N64 games? Need help with the story or side quests? For complaints about the Lens of Truth, it works just fine finding invisible stuff, but can't see through fake walls and fake floors, yet it can still help you distinguish between a suspicious-looking part of a wall/floor compared to the rest of the room. screw freaking nintendo they only care about money if you try to download the game on a rom it wont work because of copyright claims and if you do get it you get a virus!!! If you have the game in your history, you can play it from there. There's a way around this. It says they removed, it WHY!? This game is by far the best LoZ game ever created. Zelda completely gave N64 its name. Without Zelda, Nintendo would have to go for something else, like Mario which is freaking dumb. The LoZ series has to be the greatest series to ever be creatd. 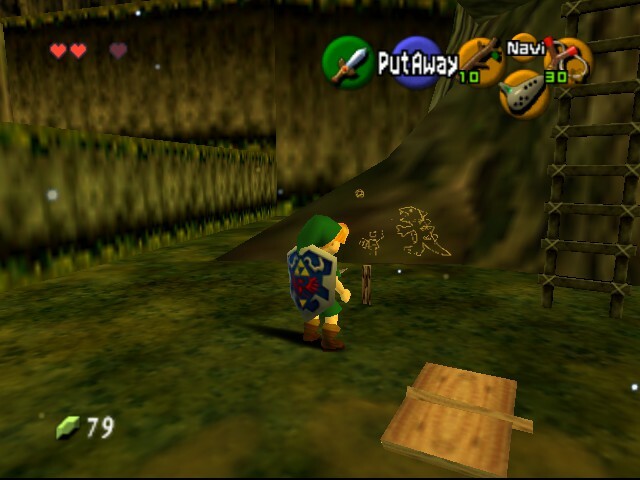 I need help, for some reason everytime in the Forest Temple when I try to play the song of time to remove the blocks with the door of time symbol, the rom doesn't register it. Also Epona's song won't work, and neither will the sun song. Anyone know why? Wow, I am really bad playing this on a keyboard. So used to the N64 controllers. Not sure I would make it against Shadow Link. Such a good game though. other than that. I give it a 9.9 with the walkthrough. on Zelda dungeon minus his poor commentary. and jumpy guide. thanks for the game. LOVED it since I was about 6, yes good times and more to come.